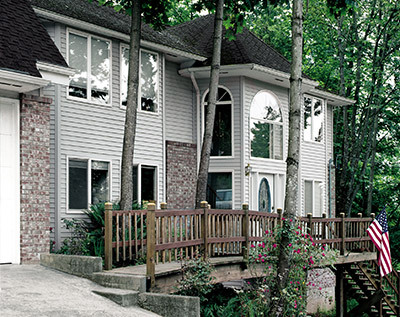 Feldco’s siding is made of pure, virgin vinyl that will help protect your Peoria home from all of the elements. 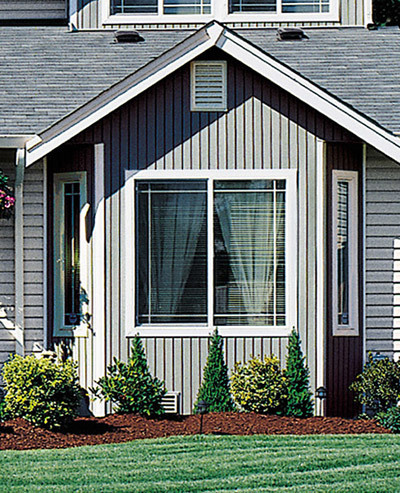 Our vinyl siding is low-maintenance and durable. It won’t warp, crack or rot so you don’t have to worry about maintaining it year after year. Not only will you have a great product when choosing Feldco siding, but everyone from your Product Specialist to your installers will make sure you are delighted throughout the whole process. What Makes Feldco the Best Siding Contractor in Peoria? Feldco is the company if you are looking for durable, energy-efficient and beautiful siding. With over 40 years of experience under our belt, we have delighted over 350,000 customers and have proved to be one of the best siding replacement companies in the industry. The siding installers will take great care of your home during the installation. No detail is too small and you will be more than delighted with the craftsmanship and the end result – beautiful new siding on your home. Depending on what you’re looking for, you can customize the perfect siding look for your home with all of our style and color options available. Double four siding is one of the most common designs and what most people picture when they think of vinyl siding. We offer many colors so you create a look that fits your style and design needs. Dutch lap siding is perfect for homeowners who are looking for all of the benefits standard siding provides but with a unique touch. The decorative groove on this siding is a great way to get a distinctive look without compromising durability and energy-efficiency. Board and batten siding has alternating vertical pieces of siding that are varying widths. 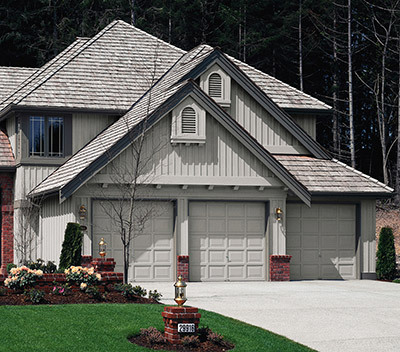 Whether paired with another siding style or not, board and batten is a great, subtle way to make your home stand out. If you’re looking for a completely unique look for your home, vertical siding is the best option for you. With vertical lines as opposed to horizontal ones, you combine this siding with another style to update the look of your home’s exterior or use for the entire home and marvel at the transformation. 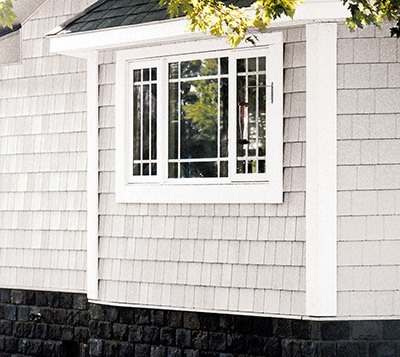 Created to look like traditional cedar shingles, our vinyl shake siding is the perfect addition to your home to add a charming touch. It’s often used to accentuate specific parts of your home’s facade but can be used for your entire home as well. 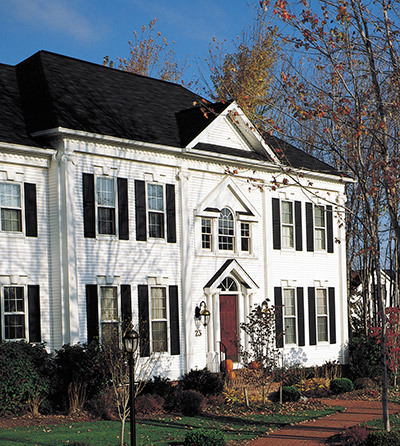 No matter how you choose to use shake siding, it is an excellent choice with great curb appeal. 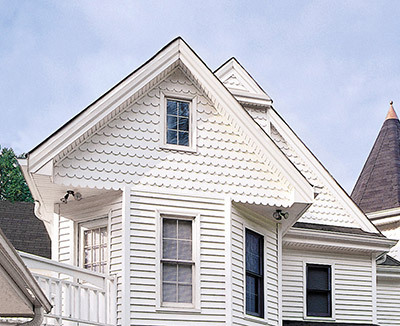 Similar to shake siding, scalloped siding can stand alone or can be used to accent your home combined with other styles. Its curved pattern design is perfect a way to soften the look of horizontal or vertical siding. 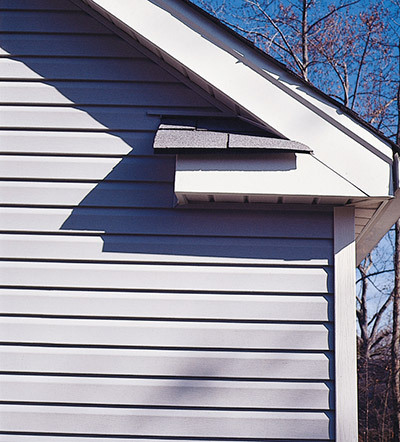 Don’t forget about the soffit and fascia for your siding project! No siding project is complete without them. Soffit is found under eaves and extended rooflines and Fascia acts as trim on existing siding. 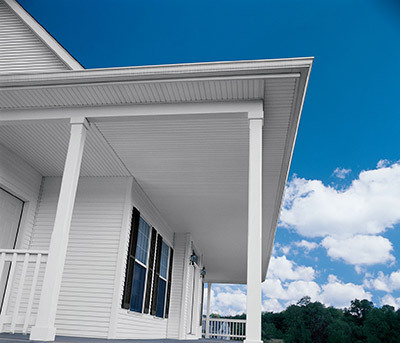 With a variety of colors available, soffit and fascia provide a beautiful finish for your home. Rest assured your home will be in good hands with the professional team of installers completing your siding project. They are among the best in the industry and are detail-oriented to make sure your siding is properly installed. You don’t even have to worry about clean up either. Your installers will make sure your home is left spotless after everything is done. All you have to do is sit back and enjoy your brand new siding for years to come! If you’re looking to update the look of your home, vinyl replacement siding from Feldco is the choice for you. No matter if you’re looking to accent your home’s facade or do a complete siding overhaul, with a variety of color and design options available you can create a look perfect for your personal taste. Get started with your siding project and get a quote from Feldco today!